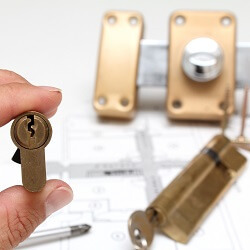 Locksmith Bee provides its customers with modern and secure lock and key services. Serving the local community for just under a decade we have all the technology and expertise you need to feel comfortable and safe. Trust our capable and professional technicians to provide you with the best options on the market and tailor your locks to fit your needs. From deadbolts to biotech locks and keyless entry to CCTVs our extensive lock services cover all the bases! We are able to offer rekey and replacement services and free assessments of your current lock system. We provide residential, commercial and automotive locksmith services. Wide Variety of Locks available for home, office, and automotive. Locksmith Bee Offers locks to fit every style and taste. Licensed, bonded, and insured to protect your investment! At Locksmith Bee, we pride ourselves on being the best local locksmith. 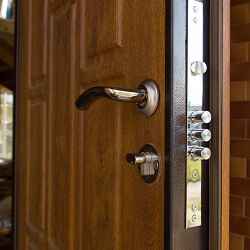 We provide a complete locksmith service, and are licensed, bonded, and insured. We hire only the best of the best to represent our company and make sure they undergo continual on the job training. Our expert technicians are honest, provide you with transparent pricing, and are able to get the job done. Maximum security and protection with a Deadbolt lock installed by Locksmith Bee. Lock replacement and upgrade done by professional locksmiths 24/7 for your commercial spaces! 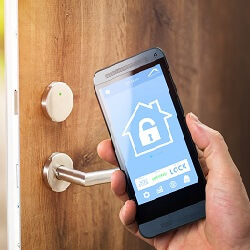 Smart Locks allow you easy access to your property and the latest security updates. 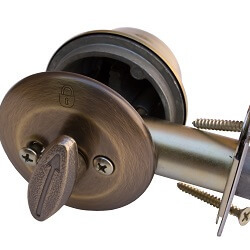 Highest security lock available for home and commercial spaces! Upgrade your locks to dependable,and safe profile cylinder locks and sleep easy! Lock Services https://locksmithbee.com/lock-services/ 3.6/5 based upon 7 reviews.